During my presentation at the Gold Coast Conference, Footsteps in Time, I used dot points to provide way finders for offline research. These are the points listed during the talk, by life heading. Please note this file is copyrighted to me and cannot be reproduced elsewhere. You can contact me using the Contact Me tab above, or by commenting on this post. Births, Deaths and Marriages or BDMs are also known in other countries as BMDs which actually makes more sense, after all if we marry it’s unlikely to come after we die, rather beforehand. I mentioned in the last post that the best genealogy explores backwards from ourselves, working through the generations. This is where we focus on those BMD data to unearth details of parents etc. How we do that will be revealed as we move from A to Z.
I like to call family history blogs “writing your family story online”. Since all of us participating in the A to Z challenge are bloggers I’m probably preaching to the converted on the value of blogs generally. 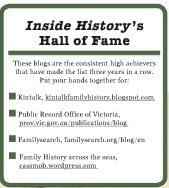 What do family history or genealogy blogs offer us? One view is that they are great “cousin bait” because people searching for the same ancestors as us will find our blog when they search the internet especially if we’ve used good tags and categories. Another view, is that it’s a great way to tell your family’s story in bite-sized chunks which is less intimidating and less expensive than a published book. A third opportunity is to use your blog as a way to leave an historic memoir of your life for future generations – what school was like, how you celebrated Christmas and other festivals etc. In my own family research, and in my wider research of other families of emigrants, I’ve often been surprised by the contacts I’ve made through my blog. 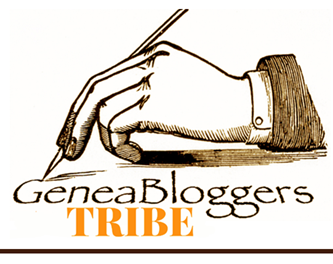 There’s also a great umbrella group, called Geneabloggers and established by genea-guru Thomas MacEntee. The level of personal support and encouragement from peers in this group is quite astounding and it’s funny how when we meet, it’s as if we’ve known each other for ages. 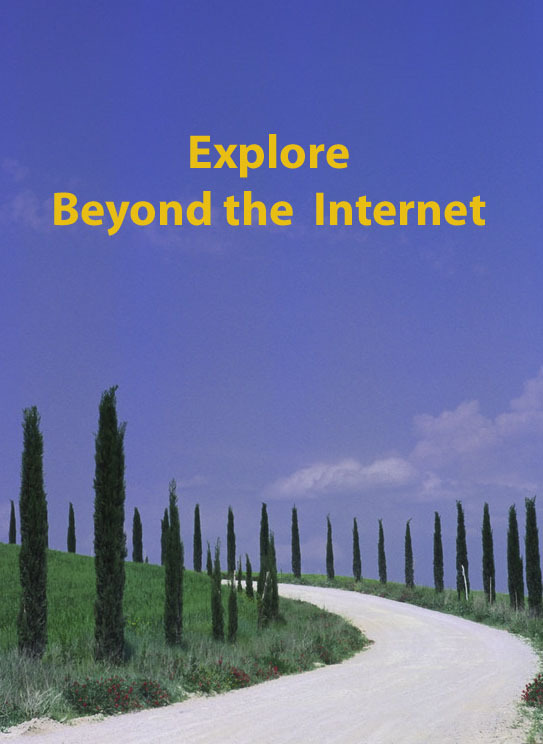 I’m also obsessive about the research we can do offline or “beyond the internet”. A few years ago I wrote a weekly post about these search options, some of which have now been digitised. You can find a list of the topics here. During this journey I’ll be encouraging you to move offline and explore other sources. This month I’ve been honoured, and very delighted, to have the Genies Down Under podcast 16, on researching offline, dedicated to my Beyond the Internet series, a lovely compliment to start the year! I was very chuffed when Maria asked if she could mention me and make reference to my posts. When you’ve put a lot of work into producing something like that it makes it so worthwhile when others find your tips and strategies helpful. I have to hang my head now because I’ve only relatively recently heard of the Genies Down Under podcasts and hadn’t quite got round to listening to any. However I am now a convert and am working my way through the series. Maria has a huge array of resources available on the blog site and as well as the podcasts there are also links, images and show notes to go with the audio. Maria’s themed discussions come under the headings of tips, tools, tricks and traps which neatly encapsulate the issues you need to address. Warning: Don’t listen late at night. Last night I listened to the one on heirlooms, and then so many ideas were swirling in my head that I couldn’t sleep! If, like me, these podcasts have been on your “gunna” list of things to do, I encourage you to head over and have a look and listen to this great collection of themes. Each podcast is very professionally produced, but is also quite relaxed in style. While Maria says it is genealogy with an Aussie spin, I’d be very surprised if researchers in other countries couldn’t gain something from most of the sessions. Maria posts each podcast on the first of the month and upcoming ones include naming patterns (Feb), Techie stuff, (March), Irish stuff (April), favourite ancestors (May), immigration (June), storage (July). She also welcomes ideas if you wish to make suggestions or comments on a particular topic. You can contact Maria on geniesdownunder [at] gmail [dot] com. Why not join me and put a link to the Genies Down Under podcasts on your sidebar. This is the final post in the 52 weeks Beyond the Internet series. Despite the rapidity of digitisation, there is still so much lurking offline: in people’s heads, in libraries, in museums. While it’s fantastic to be able to flash our fingers across the keyboard and find information or even digitised original documents from the other side of the world, there’s still so much discover by getting out and getting our boots dirty as the local historians say. I want to touch very briefly on a couple of sources that haven’t yet been covered before leaving you with a summary of all the topics. The letters and documents of the Colonial Secretary (aka COL SEC) are invaluable but also tend to feel impenetrable at first, as well as time-consuming. As you pursue each document reference through its archival hierarchy, it’s easy to feel overwhelmed by your search. However if you think you have something very specific in your family that may have merited correspondence with the government’s senior bureaucracy it’s definitely worth your while to make the effort. Some have been indexed, but many have not, and try searching by topic or place as well as name. For example, Queensland State Archives has an index drawer with references to petitions regarding places. Give them a try and see if they prove useful to your own research. Those with Irish ancestry might find it worthwhile to pursue the documents from the Devon Commission especially if their ancestors left some decades after the Famine. 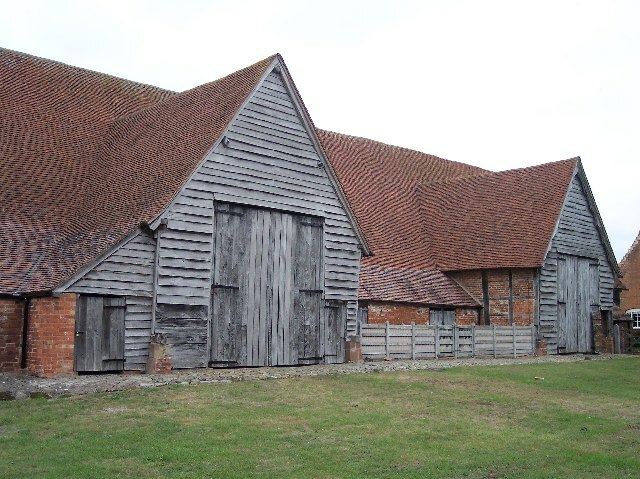 If you’re lucky enough to find your ancestor’s parish documented it will tell you a great deal about where they lived and their economic and physical condition. You can see an example of its value here (Donegal) or read it online via Google Books here. I’m going to leave it there and thank you for following along with this series. I hope that at least some of the topics have triggered useful research strategies and may even have produced some successes! Here are the topics that have been covered. I won’t hot-link them but you can readily find them by clicking on the Beyond the Internet Category in the right hand column. There’s mostly been a method in the sequence which I envisaged at the beginning of the year, with occasional deviations. I finally made it through to the end though those last weeks were a challenge! Week 19: The poor are always with us: bankruptcy, workhouses, Board of Guardians, Kirk Sessions. Thank you once again for supporting me along this rather long path! This week we’re up to Week 51 in my Beyond the Internet series in which I explore the sources of information beyond our computer screens. This week’s topic is Oral History. Oral History can be an invaluable asset in our suite of offline research resources. Again and again we read others say that they wish they’d listened to their parents/grandparents/great-grandparents. I too wonder how I could know so little about my grandparents when they lived next door for up to 21 years of my life. However I think we also need to “forgive” ourselves: it’s far more common than not, for us to be self-preoccupied in our teenaged years, caught up with study, work and later our own families. It’s only as time goes along that we start reflecting on missed opportunities, almost always too late. It also assumes that each and all of our immediate ancestors would have willingly bared their souls to us, yet we also know we reserve secrets and private moments in our own hearts. So respect and acceptance are required on this journey into oral history. It was only as I started to write my Kunkel family history that I was able to tease some information from my father before his death, contrary to his decades as a human information-clam. If we’re lucky some of our parents may be alive and we can start to ask them questions with interest and respect. Even if our parents are not alive there are other opportunities to capture some of their stories: what about close family friends who sometimes know more than we assume, or perhaps there’s an aunt or great aunt to tell the stories? As you interview your family’s friends and relatives, there are many guidelines to follow so that you tease out answers without prejudicing what you’re told. You also need to weigh up past slights, family feuds etc to get a feel for whether you’re being told the “truth” which of course varies with almost every individual. 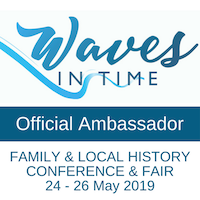 If you’re planning to do a series of oral history interviews you might be able to find out if your local library, archive or family history centre offers seminars of how best to go about them. In Australia, a good starting point is the Oral History Association of Australia (OHAA). They also have useful publications for sale. Your local archive may even have recording equipment that you can borrow: the OHAA would probably be able to advise you. I know that our reference library here in Darwin offered a training session a couple of years ago which was excellent, and there is now a wonderful resource on the NT Library webpage of Territory Stories. A book I’ve found really helpful is Family Memories, A Guide to Reminiscing by Bob Price, available through the State Library of NSW Shop. It provides a helpful framework in which to consider the questions you want to ask your family. Quick readers can pick up a copy on eBay at present for a very good price (assuming it’s still available when this post goes up). Or you can get it on inter-library loan through the National Library of Australia. So far it’s been implicit that we’ve been focusing on our family’s specific history, but if that’s not possible, there is a way around this apparent “brick wall”. Don’t forget there are other families who’ve lived in the area for many years and experienced many of the same crop failures, weather problems, wars, socials and weddings. You may find that you can learn a great deal about your family’s life indirectly in this way to add richness and texture to your story. One of the most valuable contacts I made was with the man who was the Murphy’s Creek (Qld) local history experts. Not only did he share a great deal of information with me but also provided me with copies of a recording of my grandfather’s younger cousin, Ann. I had met her a couple of years before her death and we had several discussions about the Kunkel family and as documentary facts proved her stories, it was apparent she was a “reliable witness”. I’ve mentioned this experience previously, and its importance to my own research here. .However, what was especially interesting was the difference in content between Cameron’s recording and mine. In the local history version the stories were of playing tennis socially and competitively, social outings and people she knew including some relating to the Dorfprozelten descendants though it’s obvious she had no idea of this prior link. My tape of our conversations is about family connections and stories. Both are valuable and offer quite different dimensions to family and life in rural Queensland in the early years of the 1900s. I think it’s important that we don’t leave our own life stories as a blank page for our families. We know how much we’d love to have heard or seen our ancestors or to have something they’d written. It’s up to us to ensure that we leave a suitable legacy for our own descendants. Have you had any successes in recording and documenting your family’s history orally? Do you find it easy to do or challenging? I know I find it quite difficult and don’t think it’s one of my strengths. Bureaucracy isn’t a new thing and really we should be grateful for it historically, if not in our day-to-day lives. There’s so much that is documented thanks to the need for governments to raise taxes one way and another, and to monitor appropriate standards. I’m not going to deal with the professionals like doctors here as they are generally fairly easy to track down one way and another, and other occupations I’ve already written about. Instead I’m going to briefly touch on some licences which may tell you about your ancestors. They may only tiny scraps of information but don’t we just thrive on any snippet? Some archives will hold copies of licences for ancestors who were publicans. As always what survives is a matter of luck really, and while the indexes may be online you will likely have to visit and/or pay for a copy of the actual document. For example here are relevant links, New South Wales, Victoria, Queensland etc. You may also find references in the Court of Petty Session documents for your area of interest. You will definitely want to see if any good books have been published about “your” pub, or hotels in general, as well as searching for images online or offline in reference libraries (search for the town, not the pub name). Government gazettes will often throw up links publishing their licence, enabling you to see if your relatives moved from pub to pub. Keep a look-out too, for local history websites about pubs in the region, as well as references to the hotel in local newspapers. How about looking for horse and cattle brands? In the early days horses were day-to-day transport so you may well find out something about your ancestor’s livestock. Does it tell me much that George Kunkel’s brand was GK2…not really but it makes his farming work more real to me. If you’re in Scotland, you might want to search the farm horse tax rolls or the female and male servant taxes (useful for my farming Sim family). You can find the link here (yes I know they’re not offline) but for those of us who aren’t in Scotland offline is good, especially for digitised original documents. Shelley from Twigs of Yore talked about the public health requirements for her butcher ancestor, Daniel Miller Couper, in her Australia Day 2012 challenge and it provides interesting insights into how some occupations were carefully monitored. Similar requirements were surely in place for the likes of bakers and confectioners but to date I’ve been unsuccessful in tracking them down for my own family. I would generally expect that these might appear in the government gazette or be recorded by the Court of Petty Sessions. Dog licences don’t appear to have been preserved in the records, though I’m willing to be corrected on that. However it was plainly a requirement as old newspapers will record that ancestors may have been fined for not paying their dog licence. Another of those moderately useless pieces of information that add texture to our stories. Did you know that in the “olden days” (ie when I was young) you had to pay a licence fee to own a radio or TV? I expect it will take a while they become available, assuming they’ve been preserved. Just imagine our descendants being astonished by there being no television! Will our car licences one day be available for our descendants to view? Will they be embarrassed by our choices in vehicles or will they be astonished at what we owned? Will they be impressed that someone that thought quite sedate once owned a flash car or be astonished by a mid-life crisis vehicle purchase? I feel sure I’ve missed some licences that would be helpful to other researchers but my mind is simply not retrieving any. Have you used licences in your research? If so which have been helpful? Please share them with us via the comments or your posts. If you’re feeling it’s a case of “that week went quickly”, you’re right. I’m busy catching up with my Beyond the Internet series. So let’s just pretend it’s now Week 49, not weeks 48 or 50,as weexplore the sources of information beyond our computer screens and this week’s topic is Occupations –Merchant Seamen. I have a whole branch of these on my family tree and even after they left this occupation they remained my international travellers even 100 years ago or more. Writing about this topic is a classic example of the speed of genealogical events and records overtaking us all. I’ve had this on my scheduled list since the beginning of the Beyond the Internet series. Meanwhile the subscription site, Findmypast UK, has added digitised records which you can search here, under Education and Work. To see the image you will either have to pay, take out a subscription or visit a local reference or family history library (or order in the microfilm via the LDS church). What you are mainly looking for here are your merchant seaman’s ticket. Family Search, which is free, has indexed some of the same merchant shipping records enabling you to identify which microfilm you might wish to order in: this is how I’ve done my maritime research pre-digitisation. You can also search the Family Search catalogue for the keywords “Board of Trade” to see what other records are available and pertinent. It’s worth noting that sailors on British ships will need to have been ticketed with the Board of Trade so these records also include men from non-British countries including Ireland and Scandinavia. Of course there are more records available for officers within the merchant navy so you should also explore the records for these as they had to sit for exams to gain their officer’s and captain’s tickets. You should also make it a priority to beg, borrow or “steal” a copy of Records of Merchant Shipping and Seamen by Smith, Watts and Watts, in my opinion THE benchmark book for understanding this occupation. This book explains in detail the cryptic entries you will find on your ancestor’s ticket which you’ll want to pursue to complete your understanding of his service. You might also find information on the National Maritime Museum (NMM) useful to understand more. You may also want to read more widely on your ancestor’s specific responsibilities in the merchant navy. A further source of information on the ships is to look at the Lloyd’s List for the timeframe so you learn more about where it was registered, who owned it, size etc. Another option that has come online instead of needing to search in a reference library. It is also worth paying particular attention to maritime deaths, and also newspaper reports, which will tell you more about their lives including the hazards of working and living on board ships which sailed in dangerous conditions. It might even be wise to check that there’s not a second marriage lurking somewhere in the records, not that I wish to malign our ancestors. If you can identify one of your ancestor’s ships it may lead you through the others that he served on. You should then see if you can find the ship’s crew lists through the CLIP site even though you may need to order them in. I have one friend who was very lucky with this (sadly I haven’t been, at least so far!). Some of these are also on Findmypast UK under Education and Work. Census records may include your ancestor’s name on board ship, provided they are in port somewhere in England/Scotland or Wales: in fact you may even find your ancestor mentioned twice! It’s worth searching to see if there are special CDs which coincide with the census, as some years ago I discovered a series called Seamen’s Crewlists 1851 which was most helpful. And a final word of warning: don’t rely entirely on the online transcriptions. I know I have entries which are mis-indexed on the online sites as well as some information that I’ve found in microfilms or on site at the National Archives in Kew, and vice versa. I only regret that I didn’t have more time to spend in the NMM when I was there a couple of years ago. This is a huge topic which needs further development. My intention had been to do that here, but it will need to be a topic in its own right in 2013. Meanwhile if you have an interest in this area, you may wish to have a preliminary look at a series of conversations on RootsChat from a few years ago. The researcher found the tips he’d received from a few of us very helpful and you might do as well: no point everyone re-creating the wheel. This week I’m belatedly writing Week 48 in my Beyond the Internet series in which I explore the sources of information beyond our computer screens and this week’s topic is Occupations – Teachers. I wrote a few posts early in the year about school admissions and other school records, which will obviously be of relevance if you have teaching ancestors. However you’re probably looking for more personal information about their careers. I have no teachers in my family tree but Mr Cassmob’s is fairly littered with them so much of the information I’ve acquired has come from them. Some are his immediate ancestors, one is our daughter, and others go back to the early-mid 19th century. The first port of call will be the relevant archive for the area where they taught. If they were in a religious school, you may have to approach the school or religious order they worked for (not so easy, sometimes). I’d also look at reference libraries to see if there’s more general information about their records. So what might you find about your teaching ancestors? Their inspection reports: Remember those school visits when we thought the inspector was only assessing us, but in reality was probably mainly interested in the teacher, and whether they’d taught the necessary curriculum to the right standard. They must have been intimidating for the teachers as 50 years later we met a lady in Alotau who remembered her mother being inspected by Mr Cassmob’s father (who could do intimidating quite well in his professional role). Their other roles in the community: for example my mother-in-law was the Registrar of Births, Deaths and Marriages in her rural Victorian community when she was only 20 or so. As a family historian you have to love information like that! Their academic training: whether they had teachers’ college training, university, or were thrown in largely at the deep end to sink or swim. Their history in schools: For example: my in-laws were both teachers and both were required to establish small bush schools in rural Victoria with absolutely minimal training. In their specific case this experience was no doubt invaluable as they launched and taught at new schools in Papua New Guinea. Did your ancestors teach in large urban schools, small multi-class schools or even one-teacher schools? Who was in their class? Did their own children have to call them “Mrs Cass” in the classroom, for example. Books: You may find some reference to your teaching ancestors in books relating to the areas where they taught, or specialised books on education. Gazettes: Government and Education Their postings may feature in the various gazettes –check them out. (I’m indebted to Rosemary Kopittke who alerted me to the education gazettes last year). Goulds have a range of the Queensland Education Gazettes which you can see here. If you have teachers in your tree I hope these tips will help you learn a little more about them. If you have used other records please do share with us via the comments or your own blog so we can all learn. Teachers really are pivotal to the development of a community’s children, a debt we all owe them, as they work so hard to educate and care for their students. In the past week we’ve also seen their heroism as they protected children, sometimes with their own lives. So let’s all say a huge “thank you” to the teachers who’ve helped form us into who we are today. Did you have a pivotal teacher: if so who was it? The teaching images are from Microsoft clipart. This week I’m writing Week 47 in my Beyond the Internet series in which I explore the sources of information beyond our computer screens and this week’s topic is Police and Railway Staff records. Archives can be a rich source of occupational records, ranging from publicans to police, railways or business, mariners or teachers. As always which records survive for your area of interest is variable and dependent on historical chance. Firstly a word of warning: not all railway workers will have been employed by the government-owned railway even in Australia. Lengthsmen and gangers, the labourers of the railway line, may have been employed directly by large railway contractors such as O’Rourke & McSharry. Overseas where the railway infrastructure and operations were undertaken by different companies it will be necessary to see if those business records have survived. Findmypast UK has some railway staff records online but others may remain elusive. The steam train arrives at Murphys Creek station. Where they exist, railway staff records can be rich in detail. My ancestral ones include dates of birth, commencement of service, progression through the ranks, commendations or penalties, relocations around the region and illness. Some of mine came directly from Queensland State Archives but others were obtained from dusty old card systems in Ipswich long before the Railway Museum was built. There are also some excellent indexes to Queensland Railway staff and these may highlight the employment of women as gatekeepers or cleaners. It was not uncommon for married women whose husbands had a responsible role at a particular station to take on these duties, or for them to be given this type of work if a husband died at an early age. Government gazettes and parliamentary papers may also list railway workers. Time does indeed make the heart grow fonder for Qld Rail as it seems the closer in time we are to the person the less likely we are to find staff records. While I have some from my 2xgreat grandfather, two great-grandfathers and my grandfather, my own father’s records were destroyed some time ago even though he retired less than 40 years ago! Roma St Railway Station -the old shunting yards extended up to and beyond the right corner of this image. Photo taken P Cass about 2006. These staff records can be used in conjunction with other sources to reveal more detailed information about their specific location location eg while posted to South East maintenance, a man might actually be working in a number of places in that area. School admission records are a great way to track movements within a region. Similarly Trove may provide useful tidbits about their lives. Other Sources: If you want to know a little more about what life was life as a railway employee, or a member of their family member, this book, Living on the Line, provides first hand oral histories of railway life. You can also search my blog (top right hand corner) for search terms “railway” or “Queensland Rail” for my own experiences in a railway family. Also don’t forget to see if you ancestor was involved with railway operations during either World War I or World War II. Police staff files are generally even more valuable to family historians than railway staff records (especially if you have policemen in your family!). They include much of the same detail but are more likely to include pages of documents rather than just a card index summary. I have made significant finds in police files so I’m pleased that some of my family members diverted from serving the railway to the police. Character references had to be obtained when applying to enter the police and one for Thomas Kunkel is elusively enlightening. A letter from Patrick O’Sullivan, MLA in Ipswich states that he had known my 2xgreat grandparents “so long and so well”. Had it perhaps been Patrick for whom George Kunkel had worked as a servant in his hotel? Or is this just my imaginings? Ironically nearly 100 years later I would know Patrick’s great-grandson who was the Jesuit priest with responsibility for the Newman Society at The University of Queensland. Spouse checks: In the old days (not sure when it ended), Police had to obtain permission to marry. They advised the name of the woman they wanted to marry and there was then a character check on that person and her family. One can only assume that he must have asked his bride-to-be before sending off her name, otherwise the proposal would hardly have come as a surprise! Thanks to this, I learned that one of my grandfather’s uncle applied to marry a particular woman, whose family provided a glowing reference from Archbishop Dunne, previously their parish priest. What went wrong after that is lost to time, but Thomas never did marry her. Adding insult to injury she married his brother Edward not long afterwards. Thomas’s performance record had been of a good standard before that but all of a sudden he was going AWOL, being drunk on duty, losing prisoners. Coincidence, I hardly think so. Another relative’s file reveals his problem of “borrowing” a small amount of official money – when he volunteered this information and was repaying it, he was promptly discharged. I can imagine him confessing his sin to the priest and being told to make restitution only to then be tossed out – entirely justifiably, but no doubt distressing for all the family. The timing of this event coincides with his mother, Bridget McSharry, moving to Rockhampton and setting up a boarding house. Around this time or a little earlier, his father, James Sherry, entirely disappears from view – did he desert the family (not in police gazettes) or did he die but his death not get recorded? Was the timing a coincidence? Not sure. Police staff files are subject to closure periods which may affect your ability to look at all or part of the file. Other sources: once again try Trove to learn about arrests or events your ancestor may have been involved with and also look at Police Gazettes or Government Gazettes. I think you’ll find these sources to be very helpful if you are lucky enough to have railwaymen or police on your family tree.